Hands on Training was established in 1999. We believe that complementary therapies play an import role in modern life and we are committed to promoting holistic heath and beauty. Our aim is to train therapists to a high standard so they can be confident with their skills, work effectively with clients and engage with the rich experience that this work brings. Our team of highly experienced tutors offer training in a range of therapies. Our tutors are regular speakers at talks and seminars. The popularity of our courses has led to many requests for training around the world – including the U.K., Ireland, France, Spain, Bahrain, Kuwait, Dubai, Abu Dhabi and Oman. Many of our qualified therapists offer their skills in spas, holistic health centres, beauty salons, hospices, hospitals and on-site in the workplace. Lesley is based in London and is principal of Hands on Training. 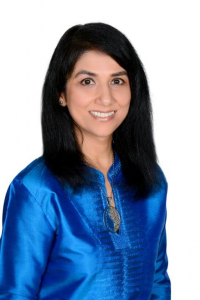 She has been teaching since 1999, originally alongside the founder of Indian Champissage – Narendra Mehta. She is co-author of the books Indian Head Massage The Essential Guide and Ear Candling The Essential Guide. 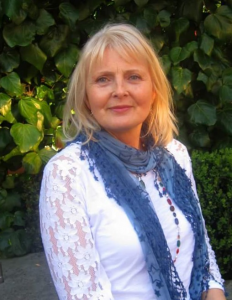 Lesley is passionate about promoting holistic health and beauty – she says ‘I love practising and teaching therapies; working with inspiring students and clients is a truly enriching experience’. 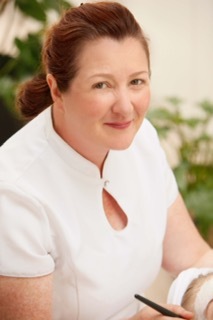 Lesley provides training in Indian Champissage, Advanced Indian Head Massage, Facial Rejuvenation, Kansa Wand Facelift Massage, Natural Facial and Ear Candling; she also offers treatments in these therapies and Aromatherapy/Body Massage.